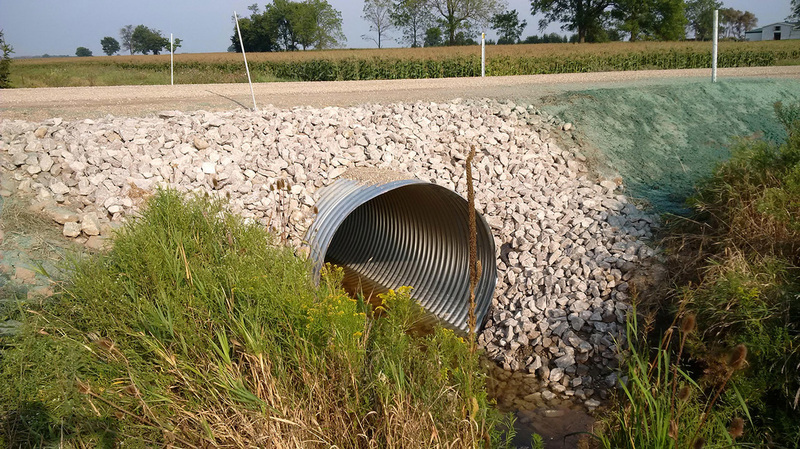 SBM was retained by the Municipality of Middlesex Centre to produce a detailed design for the replacement of the failing Cook Road Culvert which conveys the Bradish Drain under Cook Road. A large diameter spun CSP was detailed to reduce road closure and ensure a quick installation. This project consisted of the remediation of a surface flooding issue in the rear yard of several lots on Langarth Street East. SBM (formerly KAM) staff were responsible for preliminary investigations, analysis of viable solutions, sewer and grading design, contract document preparation, contract administration, and construction inspections. This project consisted of the reconstruction of Dominion Street, a local road servicing a residential area and included sanitary sewer, storm sewer, and watermain design. SBM (formerly KAM) staff were responsible for overseeing the design, tender document preparation, contract administration, and construction inspections. This project consisted of the construction of a trunk sanitary sewer along an arterial street in the City of London and included complete road restoration and coordination with the City of London. SBM (formerly KAM) staff were responsible for overseeing the provision of design documents, specifications, tender documents, contract administration, and construction inspections. This project consisted of the reconstruction of MacNab Street, a local road servicing an industrial area, along with sanitary sewer, storm sewer, and watermain upgrades. SBM (formerly KAM) staff were responsible for overseeing the provision of design documents, specifications, tender documents, contract administration, and construction inspections.